Classic Fire Emblem! Weird Smash 3DS controller thing! Discounts! More! Some things don't even change in E3 week, whether it be the underwear of those of us watching everything unfold over three days or the arrival of the Nintendo Download Update. This week's North American update has a treat for Fire Emblem fans, some new eShop-only releases, discounts and reminders of content released over the past few days. Let's get to the details. Missed the European Nintendo Download details earlier in the week? We don't blame you! Don't fret, the information you need is right here. 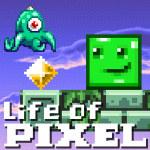 Life of Pixel (Super Icon Ltd, $9.99) - This is an intriguing platformer with the premise of each stage representing particular consoles and generations, while revisiting classic games with a backdrop of chiptune music. It sounds wonderful in practice and we'll see whether it delivers on that potential in our review. Fat City (Heavy Iron Studios, $12.99) - What can we say about this game name? We have no idea, but the game itself has an isometric view in which you "help Chris and his team plan and pull off audacious heists from high-value targets to fill the coffers of a surreptitious crime syndicate in exchange for the life of a loved one." Phew, it sounds intense, and we'll get working on a review. 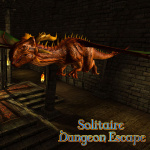 Solitaire Dungeon Escape (Jose Varela, $4.99) - A notable percentage of the human race has played Solitaire at some point, but it's been missing vital ingredients; these are namely danger, a Princess to rescue and what appear to be flying dinosaurs. This offers those things and 160 levels of Solitaire; we'll try to make sense of it in a review. 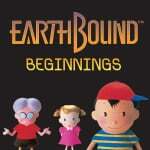 EarthBound Beginnings (Nintendo, $6.99) - Announced and released during the Nintendo World Championships, this was the surprise arrival of the original Mother title on NES, localised to the West with this new title. A cult classic and favourite with fans, we'll bring you our review of this iconic RPG once the E3 extravaganza is finished. Fire Emblem: The Sacred Stones (Nintendo, $7.99) - While this was the eighth title in the overall franchise, it was just the second release to make it outside of Japan. 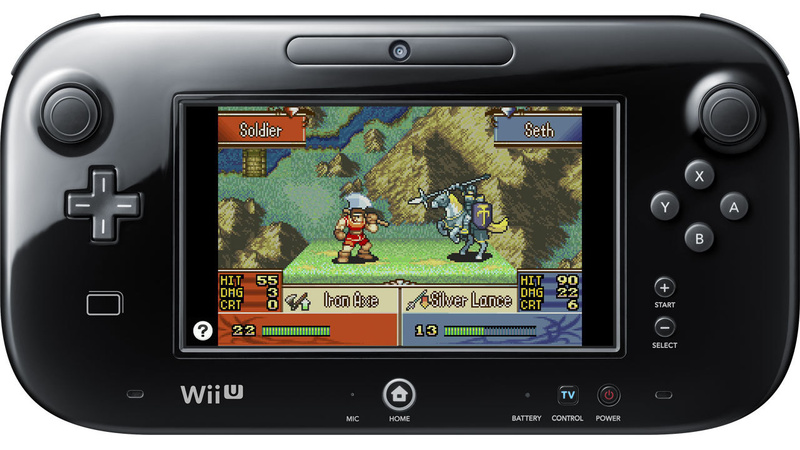 This particular Game Boy Advance turn-based strategy challenge should be well known to 3DS early adopters as a result of the Ambassador Programme of 2011, but now joins its impressive predecessor on the Wii U. We gave this a hearty recommendation in our Fire Emblem: The Sacred Stones review. Super Smash Bros. - A whole load of DLC was released for Super Smash Bros. on the Wii U and 3DS following Masahiro Sakurai's Special Presentation this past weekend - the details are available right here. Smash Controller (Nintendo, $0.99) - This is the quirky app that'll allow you to use your 3DS as a controller in Super Smash Bros. for Wii U even if you don't own Super Smash Bros. for Nintendo 3DS. Comic Workshop 2 (Collavier, $5.99 if you own Comic Workshop, otherwise $9.99) - Promising more responsive controls, new tools, better image quality and a plethora of other enhancements over the original, Comic Workshop 2 looks to be an excellent jumping-on point for veteran artists and newcomers alike. We'll sketch out a review soon. Best of Board Games - Chess (Bigben Interactive, $9.99) - This delivers exactly what it promises, albeit in a rather bland, uninspiring package. You can get all the details, and the reasons why we think you should consider alternatives, in our Best of Board Games - Chess review. That's the full North American line-up this week - let us know what you'll be downloading in the poll and comments below. Again, no 3DS Virtual Console release. When was the last one? It's been months. About time Sacred Stones is here. Next needs to be Zero Mission. Another disappointment at E3! Nintendo should have revealed new VC titles!!! I'll be happy when the Gamecube VC is announced, but i'll pick up the Smash DLC now. That should keep me going for a bit. @ThomasBW84 Quick suggestion here, the Canadian dollar has grown notably weaker than the American dollar in the last couple of years and eShop prices no longer have parity. Canadian prices are typically up to $10 more for full retail games. I'm not sure if there's anyone on NL staff that has access to the Canadian eShop to get prices, but it would be helpful if possible. Another week of nothing to get for me. Wake me up when Metroid: Zero Mission and Metroid Prime Hunters ever become available to purchase. Nothin' for me... Well, except the Smash controller, could come in hand- Wait, it's not free?! Why? They already developed it for Smash 3DS, and it's not like it comes with a game or anything... Whatever, I usually have Smash 3DS in my 3DS anyways. Still waiting for SmileBASIC, as usual. Seems like it's coming pretty soon! Can't ask for much more out of the Wii U VC than this. @CaviarMeths Your fellow reader @Aqueous often sends me the prices after a while, I'll try to get back into the habit of adding them retrospectively. @ericwithcheese2 How much is there left? I would like to see the gameboy frogger's to the 3ds shop however. That's a funny way of spelling "Golden Sun Lost Age" =P. Heh, I kid. Although I do consider it the meatier game, Zero Mission is good too. And hey, Sacred Stones is awesome. Now then, lets see if we can get Binding Blade localized, eh Nintendo? I just got paid and got a $5 GameStop coupon, so I'll be getting a card for EarthBound Beginnings and maybe that Smash Controller. I would get Comic Workshop 2, but really I never touched the first one for more than 5 minutes. I just really prefer drawing my comics on real paper or my Cintiq. They need to bring that to Wii U, honestly. Yeah, Virtual Console really needs Metroid Zero Mission, more Wii games, more stuff on 3DS (MAYBE... I DON'T KNOW... VIRTUAL BOY??? ), and... Starfox 2 for sure. With EarthBound Beginnings and Miyamoto name dropping the game, I'm gonna push and raise kane! @VR32F1END Is it the Kongregate coupon, or a rewards coupon? The Kongretates can't be used on digital content, and the old trick of buying a game for $10 with the $5 coupon and paying $5, then returning it the next day for a $10 refund no longer works. ....not that I ever did such a thing. Smash Controller (Nintendo, $0.99) - This is the quirky app that'll allow you to use your 3DS as a controller in Super Smash Bros. for Wii U even if you don't own Super Smash Bros. for Nintendo 3DS." Please oh please tell me that's a typo. 99 cents to use your $200 3DS XL as a controller on your $300 Wii U to play your $60 SSBU game? I wish I was in space so no one could hear me scream right now. I will also try to post the prices in your updates for Canada. Most of the time I just point out the games that are delayed here. Oh Stone Shire came out last week but thank goodness it came late unless they have added the updates they are talking about it's basically just a demo. Cube Life has stuff to work out and stuff to add but at least it's a game. I'm pretty torn. I want to get Toad Treasure Tracker or Fire Emblem: Awakening. But I'm not really a fan of turn-based combat, but I've heard that even if that's the case, FE:A is just THAT good. Just permanently reduce the price of SMT IV already, Atlus! Earthbound Beginnings and Sacred Stones for me. @UNSOLUTEDSALT In case you weren't aware, there's a demo for Awakening on the eshop. I'm not a fan of turn-based combat and I actually enjoyed the demo quite a bit. Not enough to push me to get the game just yet, but it does seem pretty fun. @DarthNocturnal I'd have said Lost Age if it wasn't for the Federation Force mess. @UNSOLUTEDSALT Maybe Treehouse will show of the 3DS version to help your decision. I have been enjoying Earthbound Zero since Sunday night. It's not as good as Earthbound, and requires alot if grinding, but was a nice surprise and time killer anyway. Worth the price for sure. Oh this horrible but for the solitaire game the tag line could be to save the princess you must play with yourself! I am tired and feel no shame. Well, after that E3, there definitely will be no GameCube games coming, and more N64 games look very unlikely either. Wii download games will also be very limited, and also no DS and GBA games will be coming to the 3DS. Not that I was expecting much out of the VC, but still, they could do so much better. And also the sales are barely sales. Fire Emblem: The Sacred Stones ... finally! Now, how about the second Advance Wars .. maybe even something akin to Earthbound for those earlier Fire Emblem games? I recommend Pure Chess, one of the better chess games out there and looks pretty good. Getting Sacred Stones and Smash dlc tomorrow. Already got Earthbound Beginnings, but between E3 and an extra eventful week at work, I haven't been able to start it just yet. 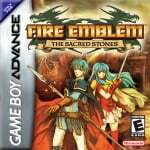 Sacred Stones was one of the finest GBA games ever released. @rjejr You know what the sad part is? I'm pretty sure I'll hastily download it next time I have seven friends over for Smash (yep, somewhat common ocurrence) and the batteries on one of the wiimotes I attach my Classic Controllers to run out. Oops, I got eartbound already and it looks like just FE for me. I also lied in the poll by mistake since I forgot the SMASH dlc counts in this week. @majinx07 I think I'd rather see an all-out remake for Hunters, either for 3DS or even better, an HD Wii U remake or revision. I know that a Hunters sequel is kind of what Federation Force is (don't throw things at me! ), but if they just release Hunters for VC there won't be online play, which pretty much eliminates the game's value. Funny, just thinking about it as a Hunters sequel made me more excited about Federation Force. It won't happen, but it would be cool if they would ditch the mech suits and just stick in the Hunters gang. Those were cool, compelling characters that have never been revisited in any way whatsoever since that release. Oh if you don't have enough controlers for smash that app is totally worth it. Just have some goop or other superglue handy. @Azikira Sacred Stones was awesome, but I actually liked the first western release better (the one just called "Fire Emblem." I remember buying that game just because of Marth and Roy in Smash, knowing absolutely nothing about the gameplay, the story, or anything. Bought it on pure spec, without reading any reviews or anything. I was so excited about how good it turned out to be. Nothing again. Why has the 3DS not seen a decent VC release for months now? Downloaded the Smash Season 2 pass and Earthbound Beginnings. Anyone know if the Season 2 pack will include the Hyrule Castle N64 level down the road, or will it be an additional purchase? Would have downloaded Sacred Stones, but I already had it from being an Ambassador. @Ralizah The Wii U could use a few more as well. We got an initial few N64 and DS releases, but then nothing new on the horizon Still I was excited that Earthbound Beginnings finally made the list. Hopefully we get another Direct next month with a new lineup of VC titles for 3DS and Wii U. @Nico07 No, Hyrule Castle 64 and Peach's Castle 64 will be in a later pack. @rjejr ....its less than a dollar for a program that likely cost a week of development plus two-three weeks of testing. I keep telling myself to not look at comments and then I look at comments. @G0dlike I'd easily throw my money at Super Mario Sunshine, but whatever Nintendo. Owning smash 3ds, i have no need for the smash controller app, maybe I'll buy this for a friend, but until i do, NOPEDY, NOPE NOPE! @Ralek85 - "Couldn't help but laugh here"
Well I'm glad. And I can easily see your viewpoint, I get it all the time form contractors doing work on my house. Roofers need extra money for soffeting, plumbers need extra money for putty. Then as soon as you ask them to lower a $20,000 project by $20 they pull out this phrase - "why are you trying to nickle and dime me?" Why am I trying to nickle and dime them? After they just showed me a page long sheet of small numbers adding up to 1 very large 1, but oh, I'm trying to nickle and dime them. Two different worldviews, the screwers and the screwees, and the screwers always think they're right. I'm not sure I've ever even meant a screwer who coudl even fathom viewing things from the other side, they are always blinded by their truth. @russellohh - And they just started selling almost $30 of SSBU DLC. And the $60 game. And the "app" is just some code they ripped out of SSB for 3DS which I'm sure they've already more than made a profit on.The app should have come built-in to the "new" 3DS at least. @ricklongo - I'd spend $40 on the game before I'd spend 99c on an app. I'd be ok if the app turned the 3DS into a Gamepad and it worked exactly as a Gamepad though. Why go to all that trouble for 1 game? Why so half asd Nintnedo? Fire Emblem is a nice addition to this disappointing Nintendo E3. Hmm I am tempted to get SM3DW. darn, STILL NO 3DS virtual console!? that said, smash DLC for sure! Went with nothing, mainly because I don't know right now and I have no money. Still debating if I should get Sacred Stones now or if I should wait until next week for M&L: PiT because they're both games I've played, but don't own yet. I wouldn't have enough for both of them since I'll be using some of my eshop money for the Dreamland stage and Inkling costumes. What happened to releasing Wii and N64 games? Its like they announced this and forgot all about it. Maybe get another developer on board with VC releases(Square/Enix?). Or how about Zero Mission/Super Mario All-Stars/Starfox/. Looks like more ds games on the horizon, but I have a 3ds, would rather just buy the physical copy and play on that. @ricklongo - "Know what the sad part is?" Actually I can completely understand if you need it you need it and it's worth the 99c to be able to use it. Heck if you have a bunch of people over even if it's $2.99 or $4.99, if you need it to have a good time w/ our friends you need it. But I think it gets more goodwill and interest if it's free, and to me sometimes the loss of a few $ is worth the good will a token gesture might make. And after this week Nintnedo can use all the token gestures it can give. So I don't fault you buying it. Who knows, I might even need to buy it someday. But what does Ntinedo need more, the 99c or the good will? If they really need that 99c that badly they probably are in worse shape than I thought. They should make it free if you tap an amiibo. But only Wii Fit Trainer, Little Mac or the Villager. Is it just me, or didn't Nintendo say that N64 and DS games were coming to Virtual Console? I'm confused. I swear I heard or read that somewhere. I already got the Smash DLC and Mother 1 (I still prefer that name over EarthBound Beginnings, to be honest) when they were released, and I took advantage of the new sale to get Fire Emblem: Awakening and Mario & Luigi: Superstar Saga yesterday. Animal Crossing New Leaf on the 3DS for me. I have Sacred Stones on 3DS so I'll skip, but anyone considering it should go for it. It's one of my favorite FE games. Those DSiWare GG. Series are never getting a review. Sacred Stones is the FE game I'm missing and have never played. So happy it finally released! Nabbed Mario & Luigi: Superstar Saga (would like to get more, but I'm tight until payday...the eve of the 23rd), and what little I've got into it (again? ), it's got excellent charm, but ball-blasting minigames. Wanna get EarthBound Beginnings, too, but as a Famicom/NES title, why's it not on 3DS eShop too? I'd think maybe a wait until cross-buy is native, but nothing (so far?) about Nintendo's "unified" system at E3. @rjejr Yeah, that is all totally the same thing. Anyways, respect for drawing a line in the sand and standing by it, down to cent. Im calling it now, the smash controller app is gonna get upgraded to support more games, i just freaking know it. Sacred Stones was the first one I beat! Then Awakening, and now I'm playing an imported copy of Binding Blade one my GBA SP. Super fun! I might just have to get roms for the other games though, having to read translations on my computer while playing the game in Japanese is killing me! XD. Also, the games are rare and expensive.... So roms are probably the best way to go. Earthbound, maybe. Nothin' else interesting to me. Have I missed it? But what's In the UK download this week? Zelda HD <3 I am over my bitterness at e3. You know, Nintendo has digital events for us all year and had done some great things. E3 isnt as cool as it was before, and i am ok with that. Im sorry for the metroid people and a few others, but Ive decided that nintendo has pumped out more than enough games for me to be happy for the new few years, even if they make nothing else. And so the wait for Sacred Stones finally ends! Now, the vigil for Golden Sun TLA continues. Nintendo is aware that both Golden Suns essentially form one giant game, right? Give us the second half, already. Why not put Earthbound on tbe 3ds instead of the Wii U where I have to be Homebound to play it?!? Pick up Sacred Stones if you don't already have it from the Ambassador Program. It is a really great game with some incredible spritework. This reminds me of the last year of the Wii. Nintendo moved on to Wii-U development and most of that year was a lot of 3rd party "filler" releases with the exception Zelda Skyward Sword. @ericwithcheese2: I feel your pain. It's been at least 3 months since we've seen any games on the 3DS VC. Fantastic week. I already picked up Earthbound Beginnings but also plan to pick up Fire Emblem and maybe a few games on sale. Nothing for me because I'm broke but even if I wasn't, I'm still not feeling inclined to give Nintendo my money for a while. Bought EarthBound Beginnings a few days ago. Definitely getting Sacred Stones, and maybe some of the games on sale. Got all the smash DLC on both versions. You North American gamers don't know how good you have it. You complain about an occasional E.U. exclusivity but you're the ones having lots of deals, multiple times a year. I'd rather have multiple 5 to 10 Euro discounts a year instead of one collectible item collecting dust somewhere. Looks like I'll get yet another crack at an Another World discount. I WILL get it this time, and I guess I'll go ahead and pick up the already dirt cheap Zombie Incident. Not a bad week compared to far worse one's I've seen.